Want More Donors and More Money? Would you like to find more donors? Would you like to have more donors renew and upgrade their support? 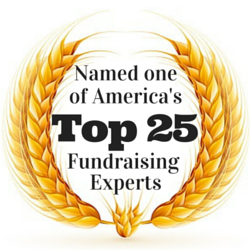 Would you like to raise more money for your nonprofit organization? If so, avoid de-motivating people by making them think their support is insignificant, unnecessary, and unwanted. So, what are nonprofit organizations doing that is embarrassing and alienating donors? Well, many things. For now, I’ll focus on just one action that underscores the point raised by the GW alumnus. Many organizations celebrate the support of mega-philanthropists. They profile these individuals in institutional publications; they recognize them on donor walls; they thank them at public events. While all of this is perfectly appropriate, a problem arises when an organization recognizes mega-donors to the exclusion of all other supporters. When people see that only mega-donors are celebrated, they can begin to think that their support is unnecessary and not genuinely appreciated. This is true for annual giving, planned giving, capital campaign giving, and other types of campaigns. If you want a diverse group of supporters, be sure to celebrate a diverse group of supporters. When people see people like themselves supporting your organization, research shows they’ll be more likely to support as well. When I speak of cultivating a diverse group of supporters, I mean in every sense of the term: gender, race, religion, age, philanthropic means, etc. While I try to regularly show appreciation and express gratitude, I find Thanksgiving (USA) is a particularly good time to do so. In that spirit, I thank you for the work you do to make the world a better place. 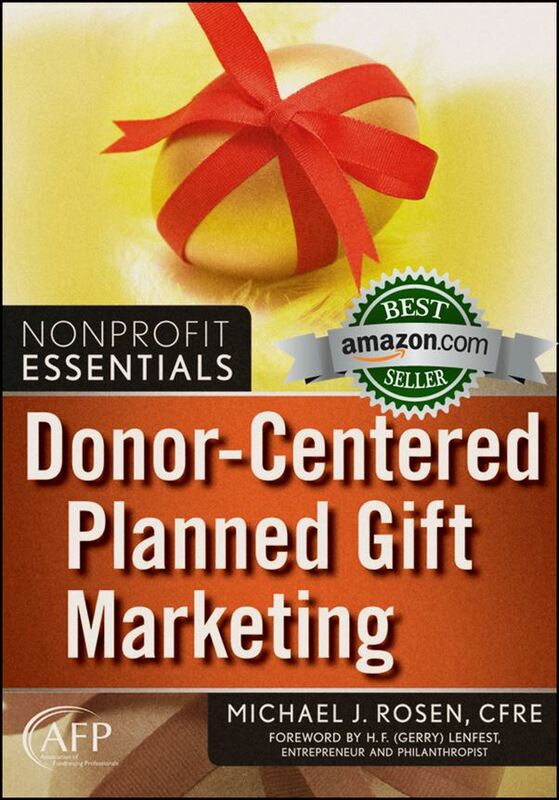 I appreciate your commitment to the nonprofit sector and the lives we touch. I also thank you for taking the time to visit my blog to read my posts and share your thoughts. I wish you a Thanksgiving full of great food. I wish you a Thanksgiving full of laughter. We have just gone through a long, controversial, historic, passionate election cycle in the USA. People continue to take to the streets to protest. The election continues to be a topic of robust conversation that should make Thanksgiving dinners around the country a bit more interesting this year. Hugg went on to ask how we should handle conversations with prospects and donors when they bring up the election, especially if they voted for the person you did not support. ● Remember, no one ever won a debate with a prospect or donor. Even if you technically win the argument, there’s an excellent chance you’ll lose the donation. So, it’s generally a good idea to avoid engaging in controversial conversations. The key is to provide a neutral response, and bring the conversation back to the organization’s mission and case for support. How Long Should Your #Fundraising Appeal Be? Sometimes, you’ll need to write a lengthy appeal while at other times, a shorter appeal might be more effective. Mal Warwick, the direct mail guru, once told me about a survey of men and women designed to explore what type of appeals they might prefer. Men said they prefer short appeals while women said they prefer longer ones. The interesting thing is that when follow-up appeals were sent, men and women responded at similar rates. Even more interesting is that both men and women were more likely to respond to the longer appeals. The idea that people don’t read anymore is a myth. If the appeal comes from an organization someone cares about, he will take the time to read provided that your copy is compelling and relevant to the reader. Don’t be afraid of the number of words you are using. Use as many as you need to move your readers. Bly observes that longer copy generally generates greater response rates in both b-to-c and b-to-b marketing. Fundraising is no different. Bly also reports that longer blog posts are better from an SEO perspective, according to research from Orbit Media. Research by HubSpot finds that longer blog posts (over 2,500 words) are more likely to be shared on social media. Site SEO Analysis shows wordier web pages (500 words at minimum, but over 2,000 is better) rank higher in search engines. Eccolo Media reports that longer whitepapers (six to eight pages) are more likely to be read than those that are shorter. There are certainly times when using fewer words is the way to go. For example, if you’re writing copy for a postcard mailing, you’ll have very limited real estate with which to work. You’ll need to be brief. However, when you have space, it will generally be better for you to write longer rather than shorter. Following best-practice can often be the wise move. However, that’s not always the case. If your list is large enough and you have the resources, you should test various appeal lengths to see what works best for your organization and its various audiences. NOTE: The poll has closed. Because 75 percent of respondents want me to share my thoughts about the election’s impact on philanthropy, I will do so in the coming days. While the poll is now closed, you can still leave a comment below. Much is being written about the potential impact of the election results on philanthropy. Much of what has been written already has been partisan and/or emotional and/or negative. So far, I have refrained from adding my voice. I’ve figured there’s already a lot being said out there, and that you might be tired of the subject already. Or, you just generally might be tired of hearing about the election itself. However, some people have asked me my thoughts about the future of philanthropy. Now, I’m going to leave it up to you. Please respond to the anonymous poll question below. If 75 percent of my readers want me to address the subject, I will. Otherwise, I’ll move on and write about other important issues. By the way, this is a flash poll that will end this Sunday night. If you have any particular questions you’d like me to address, please comment below or contact me privately. Are You Forgetting Something as Year-End Approaches? It’s that time of year once again. #GivingTuesday and December 31 are fast approaching. All charities are looking for year-end donations. However, are you forgetting something important? By making a donation using appreciated stock or personal property, a donor can avoid capital gains tax and receive a charitable gift deduction. Because over half of Americans own stock (Gallup) and because the stock markets are at or near record highs, now is a great time for donors to contribute appreciated securities. Likewise, real estate values have generally seen significant rebounds since the Great Recession, meaning real estate gifts are an excellent option for some donors. If you’d like to learn more about how DAFs work, you can download the free FAQ sheet from DAF Direct by clicking here. If you know that a donor has established a DAF, ask him to designate your charity for a grant. In your newsletter, include a story about a supporter who has given through her DAF. On your website, include a Donor Advised Fund widget to make it easy for your donors to designate a gift to your charity. To see how International Planned Parenthood Federation / Western Hemisphere uses the DAF Direct widget, click here. To see how the UNICEF United States Fund has deployed the widget, click here. For information about how to get the Donor Advised Fund widget for your organization’s website, click here. To raise more money, listen carefully to your prospects and donors. They’ll give you vital insights about their philanthropic interests and ability to give. Furthermore, they’ll give you clues about how to most effectively present to them. Tom Hopkins, the sales guru and author of Low Profile Selling, suggests that by adapting your presentation style according to prospect preference, you’ll be far more successful. If you’re visiting with a prospect to make the case for support of a particular initiative, he may say, “I see what you mean.” That could be a clue that the prospect prefers to relate to information visually. Alternatively, your prospect might say, “I hear what you’re saying.” That could indicate that she prefers getting information by listening.